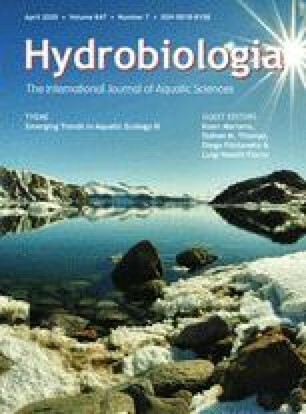 Voluntary ingestion of acoustic transmitters by Atlantic cod (Gadus morhua) was investigated under field conditions in the shallow inshore waters off Newfoundland. A surface-controlled tagging frame was used to suspend and monitor baited transmitters (16×45 mm up to 16×108 mm) near the seafloor at depths ranging from 12.5 to 39.0 m. The behaviour of cod toward the transmitters was quantified using an underwater video camera. Cod ranging in size from 11 to 92 cm approached and touched the transmitters. Both biting and ingestion were size-dependent. Eight successful taggings were completed with cod ranging in size from 34 to 92 cm. Transmitters deployed in the morning were consumed faster (mean soak time = 3.3 h) than transmitters deployed in the afternoon (mean soak time = 9.1 h). Tracking revealed that cod were active immediately following tagging, suggesting no effect of the tagging procedure. Individual fish were tracked for periods ranging from 5.6 to 18.8 d, with none of the fish regurgitating transmitters during the period for which they were tracked.